Bulger: The "Hannibal Lecter of South Boston"
The prosecution of James "Whitey" Bulger, who faces a host of charges - including racketeering and 19 counts of murder - could also bring embarrassment and public humiliation for corrupt public officials, says a former associate of the Boston crime boss. On "The Early Show on Saturday Morning," Eddie MacKenzie, who was an enforcer for Bulger and the author of "Street Soldier: My Life as an Enforcer for Whitey Bulger and the Boston Irish Mob" (Random House), said he believes "there's a hole dug with a big portfolio full of a lot of dirty public officials and maybe some dirty law enforcement officials that 'Whitey' Bulger has had for years, waiting for this day of his capture, so that he can use it for some sort of bargaining tool." When asked whom some of those officials might be, Mackenzie replied, "I live in Boston; I'm not about to say anything like that." Bulger, who was arrested after 16 years as a fugitive, does not frighten Mackenzie now that he is in custody. "I'm not afraid to say anything because of 'Whitey' Bulger because he's just a rat. He's a scum bag, an 81-year-old guy. I'm afraid because if there's law enforcement people out there, any public official out there that knows that they're dirty and I throw their name out there, you know, I'm going to get myself in trouble." "I was training for my first of three national heavyweight kickboxing championships that I won," MacKenzie said. "I was in my apartment throwing 200 or 300 kicks at this huge mirror. 'Whitey' Bulger and Steve Flemy were walking up the stairs unannounced. I robbed this Italian mobster's niece's house, and he wanted to kill me in South Boston. So he had to call 'Whitey' Bulger, the local crime lord, to get permission. "I said, 'You don't know any Jimmy.' I was all set to kick him down the stairs, but he goes, 'Some people call me 'Whitey,' but I don't like that name.' When I heard whitey, I was like, 'Uh-oh, I'm in trouble.'" "Basically [he] saved my life," MacKenzie said. Also arrested with Bulger was his longtime girlfriend, Catherine Greig. Mackenzie said he expects Greig knows nothing of Bulger's crimes. 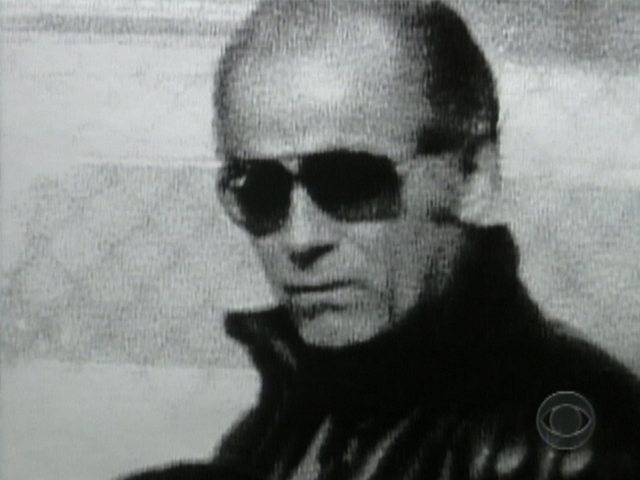 "I will tell you, everything and anything I've ever known about 'Whitey' Bulger, he probably never disclosed anything to Catherine Greig," said Mackenzie. "I don't think she knows anything, but I think she might let people think she knows something, to bargain for her freedom or whatever she wants to do," MacKenzie said. "'Whitey' Bulger was very cunning - the Hannibal Lecter of South Boston."